This large-capacity oven is specially designed to cook several different dishes at once, taking all the stress out of preparing a meal. Because you’ve got better things to do than clean your hob! Thanks to the ultra-smooth, homogenous surface of this ceramic hob, you can cook quickly, clean even faster – and then get out of the kitchen and on with your evening. You can keep this oven clean with doing hardly any cleaning. Its special catalytic lining absorbs grease before burning it up at high temperatures. Let's face it ‒ in the kitchen, you don't always have the luxury of being able to do things one at a time. Luckily, with two oven cavities, you can easily bake and grill simultaneously – getting your meal onto the table much faster. Get evenly-cooked meals every time with Zanussi. 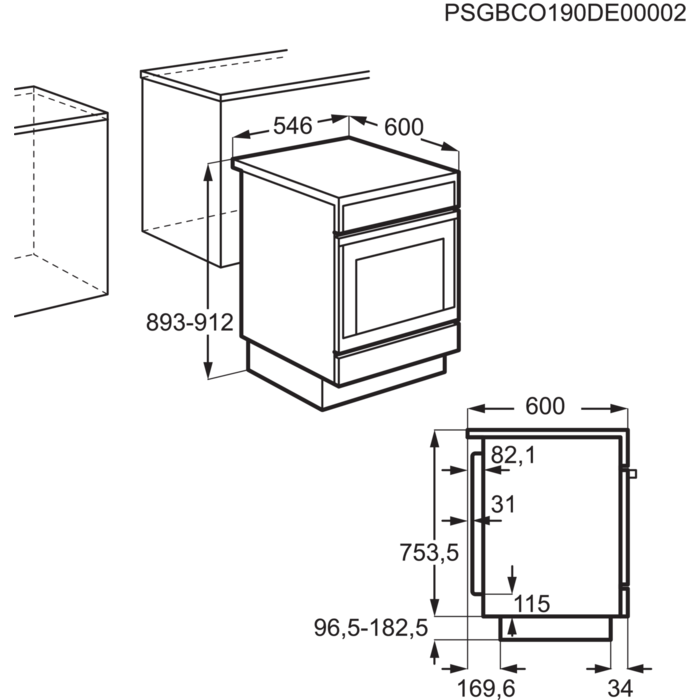 The built-in fan distributes air around the oven cavity for precise coverage. Everything emerges as it should. No more partly-cooked or overdone bits. Just great food that's always ready for the table. Leave the cooking to your oven while you get on with life. This minute minder lets you know as soon as dinner is ready to be served! Thermaflow® fan oven: Thermaflow® fan cooking forces air over a central ring element ensuring an even temperature throughout the oven. It saves time and energy by heating up quickly and cooking at lower temperatures.